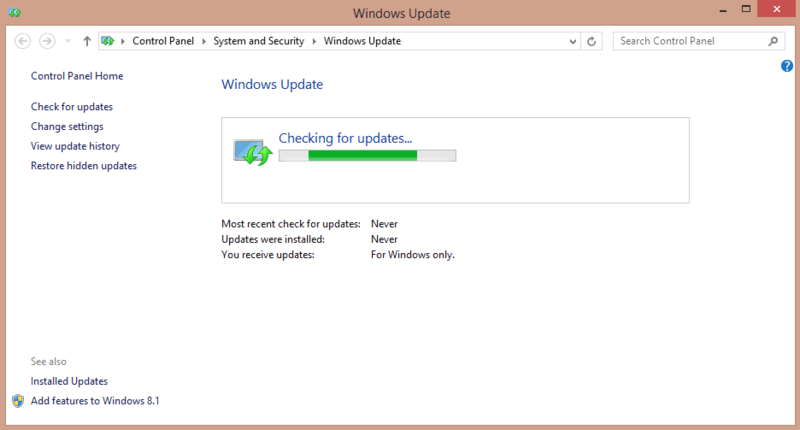 [SOLVED] Fresh Windows 7/8.1 Update Frozen "Checking For Updates"
If the update checker of your fresh Windows 7/8.1 installation is stuck on “Checking For Updates” then this tutorial will help you to 100% fix the issue. Windows 7 and 8.1 come with this weird issue out of the box. The update checker usually gets stuck when the first time you check for updates. It happens even when you reinstall Windows on your PC. As soon as you click that “Check For Updates” button, the screen gets stuck on that moving bar. Don’t worry! I have a fix for this problem. This will help you to successfully check for updates on both Windows 8.1 and 7. Actually, this checking of updates doesn’t go on forever. If you leave it for 5-6 hours or overnight then you will find in the morning that checking has stopped and updates are ready to download. Waiting for this long is not a great idea since this process should take only a few minutes. Let’s see how to fix this issue once and for all! Open ‘Control Panel’ and select ‘Windows Update’. On the left menu select ‘Change settings’. Under ‘Important updates’, change the setting to ‘Never check for updates’ and uncheck ‘Recommended updates’ and ‘Microsoft Update’. After your computer has restarted, it is time to install some software patches to fix the issue. Microsoft released these small patches to fix the small update process. Download these standalone updaters according to your version of Windows and architecture. 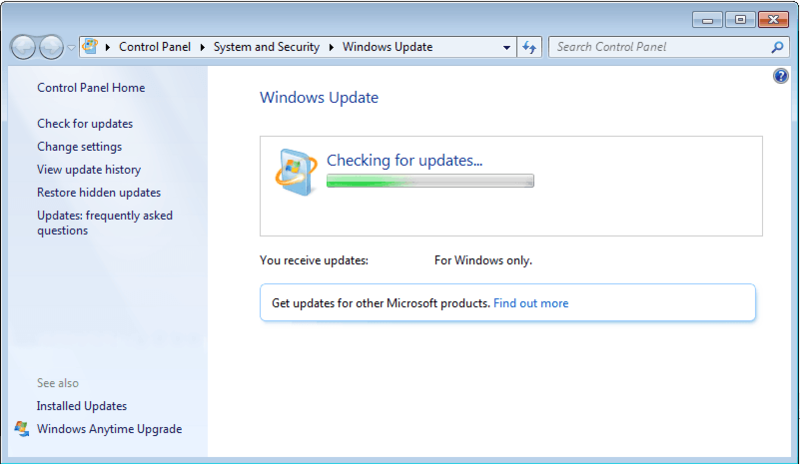 Download both the patches (according to your system’s architecture) to speed up the update checking process in Windows 7. After installing the patches, restart your computer and check for updates again and wait for 10-15 minutes. This time it should successfully show a list of all the available updates. If the issue persists, your final resort would be to diagnose the Windows updater using the Diagnostic Tool. Download it below and run it. It will try to troubleshoot and finally fix your broken Windows updater. That’s all! If you have any doubts or queries regarding this tutorial, then feel free to ask in the comments section below. Want to be the first to get our articles right in your inbox as soon as we publish them?